Anon is the sports eyewear brand from the snowboard specialist, Burton. Anon sports eyewear is, therefore, designed for snowboarding and skiing. Burton has been developing snowboards since the 1980s, making it one of the first and most experienced brands in the business. With a passion for all things snowboarding, it's no surprise that Burton soon expanded into clothing, shoes and various accessories for the snowboarding lifestyle. Some of these product lines are developed under different names, hence Burton's ski and snowboard goggles became Anon sports eyewear. 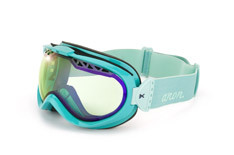 Anon sports eyewear is designed by snowboarders, for snowboarders. The extreme lifestyle is reflected in extreme designs; cool, eye-catching and unique. But more important are the functional aspects of Anon sports eyewear, the quality of the materials and performance of the goggles. So beneath the trendy design, you can be assured of reliable, high performance sports eyewear. Anon sports eyewear is kitted with scratch-proof, double lenses, with integrated ventilation, anti-fog protection and helmet compatibility as standard. One model which comes highly recommended is the Anon Realm Premium. Cool design, outstanding optics, an interchangeable head-band, hypoallergenic, super-soft face foam and much more make this Anon sports eyewear a professional piece of equipment. Designed for extreme conditions. Find your new Anon sports eyewear at Mister Spex today! Use the filter options on the left-hand side to search by price, colour or special features. 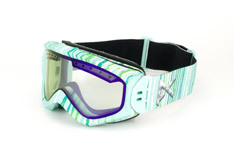 You can even try on any pair of goggles with our Online Fitting Tool. Then just place your order and your new Anon sports eyewear will be delivered to your door. Simple and convenient, at Mister Spex.